This year marks the 30th anniversary of Iron Maiden is The Number of the Beast, the British heavy metal band is third album. 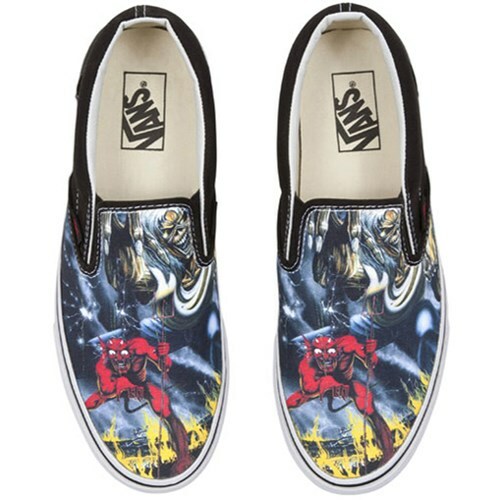 The Number of the Beast was a seminal album for Heavy Metal and a pivotal point for Iron Maiden, becoming their first record to reach the number one spot on the UK albums charts and securing them a platinum record in the U.S. Vans and Iron Maiden have collaborated on four other shoes, making it Vans most successful project with any band to date. 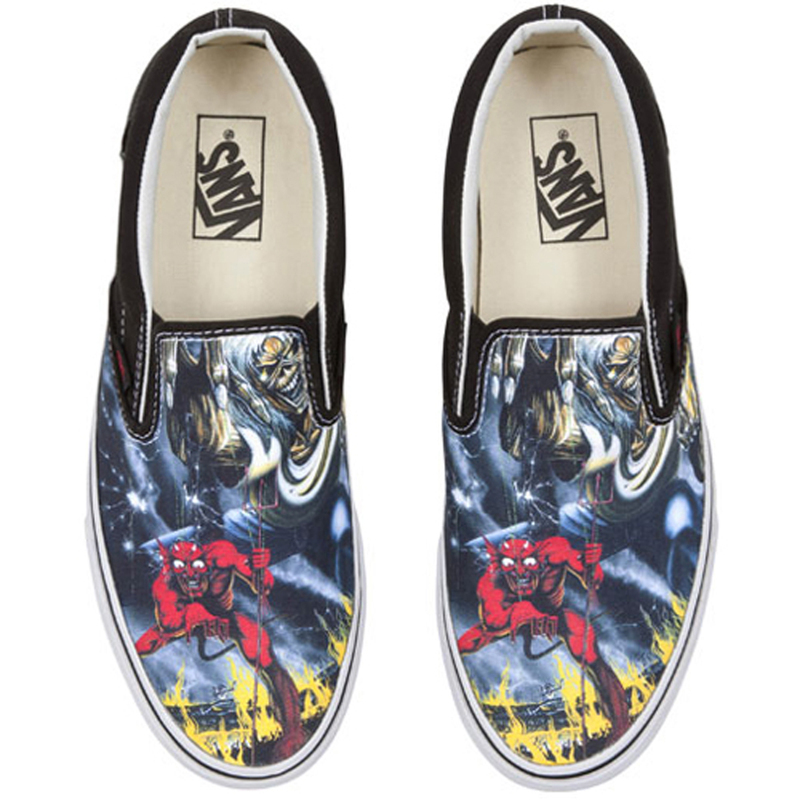 To continue its success, Vans celebrates 30 years of The Beast with a Slip-On shoe.